Who doesn’t love to come home for the holidays and sit in front of a crackling fire on your parents LCD television. This is what the holidays are all about. 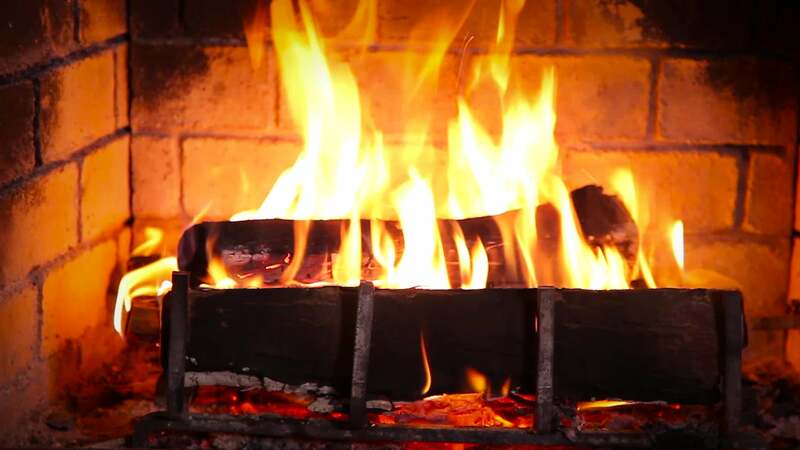 Whether your family has a fireplace or not, it is almost guaranteed the fireplace channel will be on the TV too. If Rum and Eggnog are not your thing, then a yule log cream ale will be the perfect accompaniment to the crackling yule log atmosphere. This cream ale is crisp, refreshing with a nice full bodied slightly malty taste. It is not too hoppy, but there is some crispness there from the late addition Amarillo. Overall, this is a crowd pleasing beer that all different types of family should enjoy! Bring 6 gallons of water in your brew pot to 166°F. This is our strike temperature. Turn off the heat to the pot. We want to mash the grain at 150°F for 60 minutes. It is very important to hold the temperature at 150°F. If the temperature rises above 155°F it hurts the fermentation, or if it dips below 150°F it can lead to a very thin tasting beer. Most brew pots will be able to maintain 150°F without adding heat for 30 minutes, we recommend checking the temperature every 15 minutes, and if it drops add more heat to bring it up. Your brew bag will never look this clean after one use! While not the Cream Ale, this is what grains in a brew bag look like! Remember to keep the water at 150°f for the hour. Let it boil for 5 minutes, this is called the hot break. Adding hops right when wort gets to a boil leads to a boilover. Add the 0.75oz of Cascade and start a timer for 60 minutes. All the while keeping the wort at a rolling boil. It is also an important time to take a hydrometer reading. It should be around 1.054 give or take a few points. Once the beer is in the fermenter. Open the W-34-70 yeast and pour it in. Put the bung and airlock in the hole (make sure there is water filled up to the line in the airlock). If using a pail, make sure the lid is sealed tight. Place your fermenter in a room that is 18°c, this is the ideal temperature for the 34/70 yeast to ferment at for a cream ale. Rack the beer into a 5 or 6 gallon carboy (this is called secondary). Place the beer somewhere cool if possible. We like to chill it around 1°C. A cooler temperature will help clarify the beer. It’s now been two weeks since we first starting brewing. Rack the now fermented and clarified beer into your bucket.